Dian Fossey was a remarkable scientist who fought with passion to ensure the survival of the creatures that she loved. Her life was cut all too short, and so much the worse for us. Born in 1932 in San Francisco, California, Fossey became interested in gorillas while working as an occupational therapist during a trip to Africa in 1963. She spent her life working to help ensure the survival of these remarkable creatures. Ultimately, she was killed for her efforts. In 1985, Dian Fossey was discovered murdered in Volcanoes National Park in Rwanda. Authorities suspect that poachers were responsible for her death. However, her murder remains unsolved. 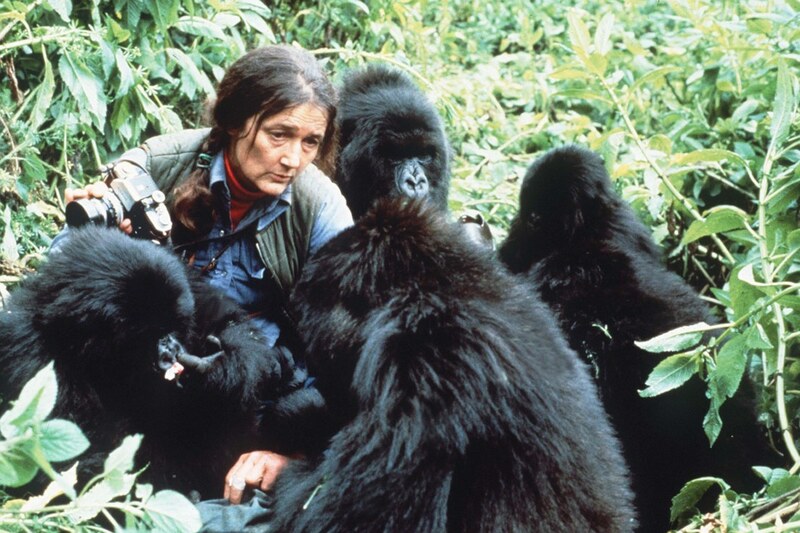 For twenty years, Dian Fossey studied the endangered gorilla species of the Rwandan mountain forest. 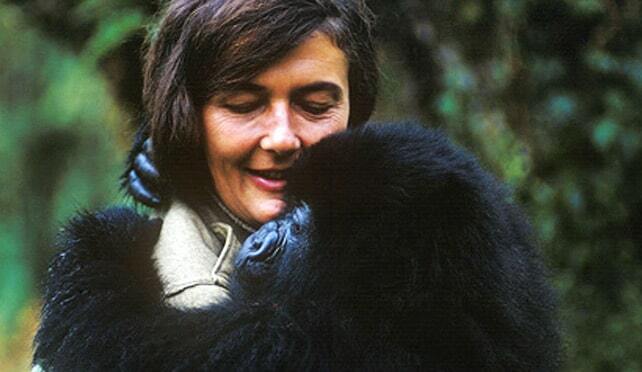 Fossey transmitted her story around the globe through her book Gorillas in the Mist, which she published in 1983. There was also a movie made a bit later, directed by Michael Apted. Today, I’d like to take some time to get to know her a little better. Born in 1932 in San Francisco, Fossey grew up with her mother and stepfather. As a naturalist and a primatologist, she began developing an affinity towards animals at a very early age. During her youth, she was a great horseback rider. At first, Fossey enrolled in a pre-veterinary course at the University of California, Davis. Dian’s parents didn’t give her any financial support as they wanted her to attend a business school (fortunately for us, she decided to follow her passions). As a result, she had to support herself by working as a clerk in a department store and as a machinist in a factory. Fossey has difficulty with rudimentary sciences, such as chemistry and physics, in spite of being an exemplary student. Because of these difficulties, she failed her second year of the program and transferred to San Jose State College to become an occupational therapist. Receiving her bachelor’s degree in 1954, she followed her college major and worked as an intern in hospitals for several months in California, working with tuberculosis patients. 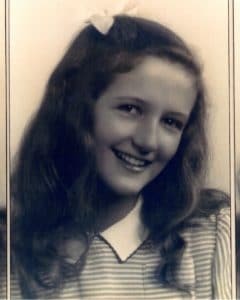 In 1955, she moved to Louisville in Kentucky and began to work at the Kosair Crippled Children’s Hospital as its department of occupational therapy director. Fossey lived on a farm on the outskirts of Louisville, and she was happily tending livestock on daily basis. In her free time, she would pursue her great love of horses. Yet her contentment didn’t last long, as she longed to see other parts of the world and set her sights on Africa. In September 1963, Fossey arrived in Africa after many financial struggles, visiting Kenya, Tanzania, Congo, Zimbabwe (in order of her visits) and many other areas. It is in Tanzania, in Olduvai Gorge (a paleoanthropological site), that she met Louis Leakey and his wife, Mary. The Leakeys, at the time, were searching the area for hominid fossils. Leakey talked to Dian about the work of Jane Goodall (another primatologist) and the importance of research on apes. Staying in a small hotel owned by Walter Baumgartel, she had her first encounter with wildlife thanks to him. As an advocate of gorilla conservation, he introduced Fossey to Joan and Allan Root, photographers with which she traveled and encountered mountain gorillas for the first time. Soon later, Fossey had to return to Louisville to repay her loans. In 1966, Fossey met Leakey again, as he was on a nationwide tour. Leakey, who remembered her passion towards mountain gorillas, invited her on a long-term study of gorillas (as Jane Goodall did with chimpanzees in Tanzania). Fossey studied Swahili and took a class on primatology for eight months. She arrived in Nairobi in December 1966, and was never to leave Africa again. On her way to Congo, Fossey met Goodall and observed her work with chimpanzees. With Alan Root’s help, she obtained work permits for the Virunga Mountains and began her studies at Kabara in 1967. On her way to Congo, Fossey met Goodall and observed her work with chimpanzees. With Alan Root’s help, she obtained work permits for the Virunga Mountains and began her studies at Kabara in 1967. Fossey studied the primates in her area and divided them into the distinct categories. At first, she couldn’t approach them, but she found out that, by mimicking their actions and sounds, displaying submissive behavior, and eating the local celery plants, the gorillas become less shy. Fossey was also strongly opposed poaching. She even helped arrest several poachers. On several occasions, Fossey wrote that she witnessed the capture of baby gorillas ordered by the park conservators for zoos, and since adult gorillas fight to death to protect their children, the captures often resulted in up to ten adult gorillas’ deaths. Fossey financed patrols to destroy traps. Over the source of four months, in 1979, her patrol, consisting of four African staffers, destroyed a 987 traps in the research area. Fossey also led an opposition to tourism, as gorillas may catch very easily human diseases, such as influenza, because they have no immunity against it. She even reported a few cases in which gorillas died of diseases brought by tourists. In 1977 Fossey’s favorite gorilla, Digit, was killed by poachers. Digit defended the group against six poachers and their dogs. He took five spear-wounds, killed one of the poacher’s dogs, and allowed the 13 members of his group to escape. Digit’s hands were cut off to be sold, as poachers sell them as delicacies. After finding Digit’s mutilated body, Fossey’s group managed to capture one of the poachers who revealed the name of the five others. Only three were imprisoned. She created the Digit Fund (now the Dian Fossey Gorilla Fund International in USA) to gather up money to oppose poaching. The deaths of some of her gorillas made Fossey concentrate more on preventing poaching, rather than on her scientific research. Fossey became a very strong protector of gorillas. She and her group set out destroying gorilla traps as soon as they were set, and capturing and humiliating the poachers—taking their cattle as a ransom, burning their camps and even mats from their houses. She also encountered officials very often, challenging them to reinforce the law and help her. In the morning of December 27, 1985, Dr. Fossey was found dead in her bedroom in her camp in Virunga Mountains in Rwanda. Her body was found face up, next to a hole in the wall that the killer(s) had cut in the house.